It is polished front back and sides and very glassy. My goal is to sell beautiful and unusual exotic stone in quality cuts to help make your jewelry stand far above the ordinary. please read shop policies carefully for details on packaging, returns and refunds. 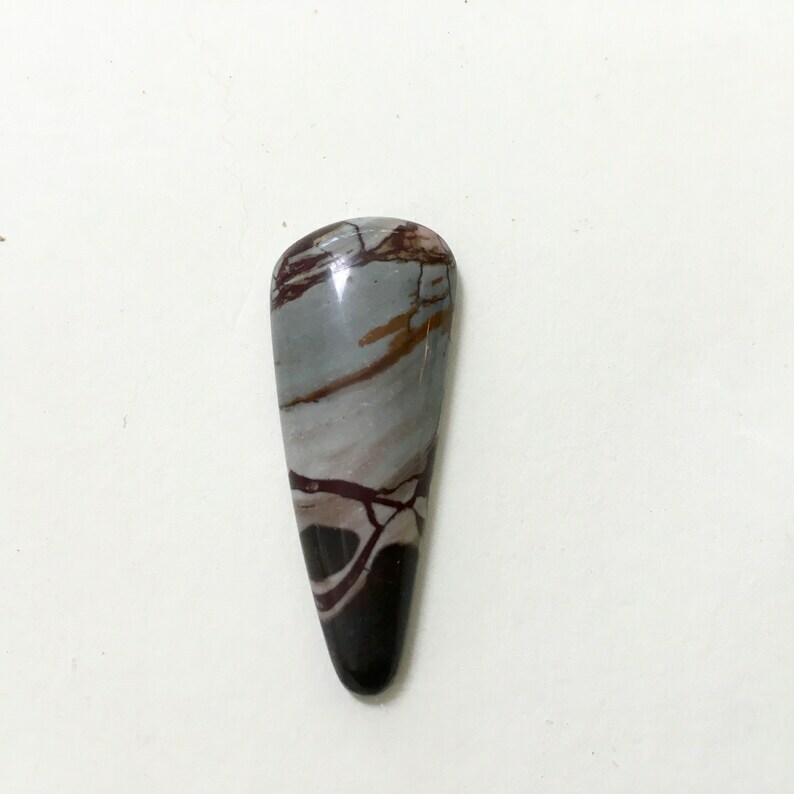 Aussie red jasper cabochon. 18.5 x 37 x 8 "shattered"
Biggs Jasper cabochon. 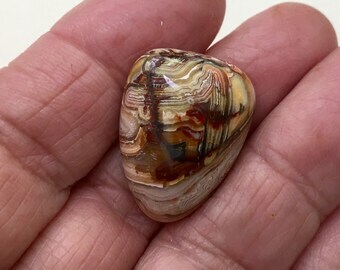 21.4 x 40.3 x 5 mm "Tornado"
plasma agate cabochon. handcut 31 x 13 x 5.3 J. Dead Camel jasper and 6mm carnelian pendant. hand stamped sterling silver.